Longtime WBZ radio reporter Jonny Miller has been a longtime presence in the Fenway press box. Every new Red Sox manager learns the protocol early. Over time, most will come to protect it, not out of protocol, but respect. Jonny Miller, who has covered the Red Sox for WBZ Radio (1030) since the early 1970s, traditionally asks the first question at the manager’s press availabilities. This is something current manager Alex Cora politely but firmly noted when another reporter tried to lead off the daily inquisition before Game 1 of the World Series in October. Cora turned to Miller, who posed his question. Then the other reporter got his turn. Surely this would have been the arrangement as well after the World Series shifted to Los Angeles for Game 3. But Miller was not there. On his flight from Boston to LA, Miller, who was born with cerebral palsy, suffered a medical emergency. The flight was diverted to Colorado, and he was rushed to the hospital. Word spread quickly in the Dodger Stadium press box and Red Sox locker room, too. Miller had suffered a stroke. 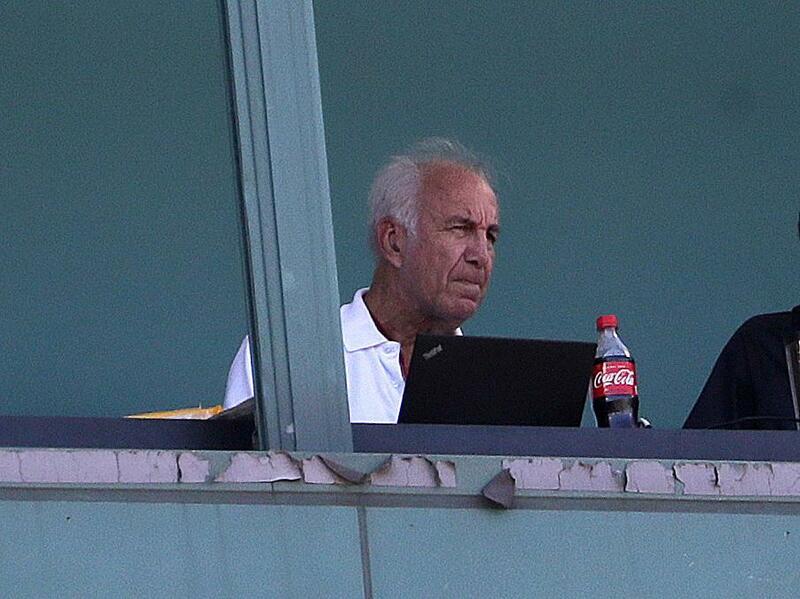 He is a Boston sports media institution, probably the hardest-working guy in our business. Now, Miller is known for something beyond being the manager’s first questioner: He annually arrives in Fort Myers, Fla., for spring training before the Red Sox even start thinking about taking inventory for Truck Day. Heck, Miller has been doing this long before the concept of Truck Day was even a glimmer in Dr. Charles Steinberg’s eye. Which brings us to some excellent news. Miller has recovered well and will be heading to Fort Myers Friday for his 45th spring training. The first question to ask Miller was an obvious one: How are you doing? He acknowledged that it had been “a tough eight or nine weeks” at the beginning, first in the Colorado hospital and then at Spaulding Rehabilitation Hospital, where he spent six weeks. He had one more appointment with his doctor Thursday before leaving, and he has made some concessions to his health. “For the first time since 1975, I’m going to fly instead of driving there,” he said. But he notes with understandable pride that he got clearance to drive a car again this week. He stays in the same place every year, close to JetBlue Park. He’ll be there early, of course, but not as early as intended — his plan before suffering the stroke was to head down Dec. 23. He said there are plans for NBC News’s Harry Smith to visit and do a story on him sometime in the spring. But he’ll get right to work on Monday. “David Price and Jackie [Bradley] live there, so there will be some players around,’’ he said. Price was the co-star in a scene last August that eventually captured the essence of Miller’s approach to the job. As Miller began to ask the natural follow-up — what were the adjustments? — Price cut him off. Some took it as Price being standoffish, but Miller, who has a good rapport with the pitcher, laughed. The next day, having taken the homework assignment to heart, Miller showed up at Price’s locker to present his conclusions: The lefthander had changed his position on the pitching rubber and was mixing up his pitch usage, among other things. Price confirmed that he was correct. Miller knows he needs to be careful with his health. He said he felt OK in the days before suffering the stroke, but other people were telling him that something seemed to be wrong.